James is an Evidence for Development associate, based in Uganda. He is a leading HEA practitioner whose career over the last two decades has involved technical support to both governments and humanitarian agencies in the areas of food security, livelihoods and poverty analysis. James has also held senior food security management roles at national and regional levels. 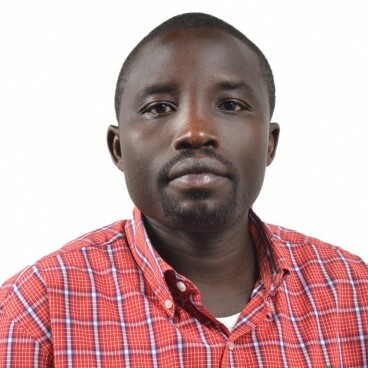 James has produced numerous National Vulnerability Situation reports in the SADC region and is co-author of Livelihoods in crisis: a longitudinal Study in Pader, Uganda, published in 2009. James studied Social Work and Administration at Makerere University Kampala (MUK) and has an MA in Social Sector Planning and Management, also from Makerere. Over the last ten years he has obtained specialised training in food security, livelihoods and poverty analysis, especially in rural Africa alongside work in Afghanistan and Iraq. His recent work with EfD has involved FEWS NET programmes in South Sudan, Sudan, Somalia, Angola and Mozambique, UNHCR research in Burkina Faso and support to Self Help Africa programmes in Uganda.